Living Area 11,430 Sq. ft. 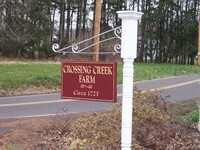 The spectacular Country Estate known as Crossing Creek Farm- Circa 1723 is once again available for purchase. Experience living on a landmark property that captures the essence of the best that BucksCounty horse country has to offer, located on one of the most prestigious roads in Upper Makefield. 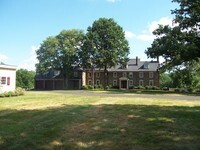 Quiet and secluded, rich in history and grandeur, everything about this property is big. The original house has been incorporated into a perfect blend of old world elegance and modern day beauty, size and convenience. 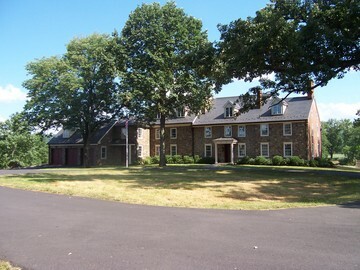 The 14,000 sq. ft. barn, one of the most beautiful you will find and in fantastic condition, is multi-leveled and suitable for collectors. The 11.67 acres, with rolling meadows, meandering creek and long distance views are subject to Act 319, thereby offering greatly reduced property taxes. 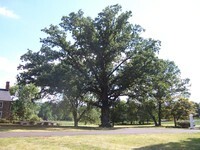 The oak tree on your right as you enter is registered as the biggest and oldest of its species in all of Bucks County. 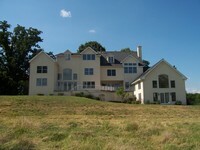 But perhaps the best of the big is the greatly reduced price, lowered by $1,740,000 from its original list price. Bank Owned..Sold As Is.